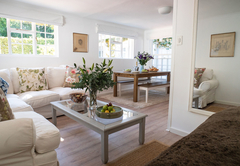 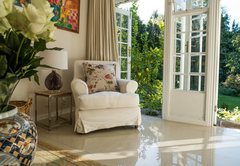 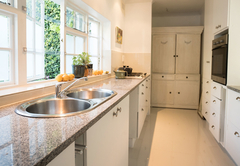 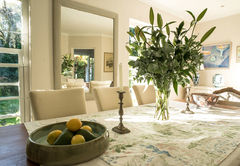 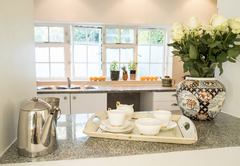 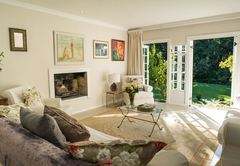 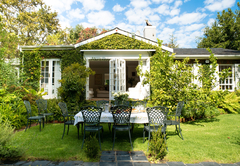 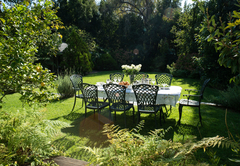 Honeybird Lodge is a property providing self catering in Constantia for tourists visiting the Constantia Valley region. 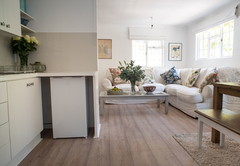 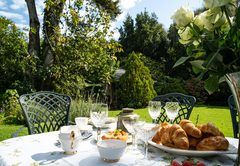 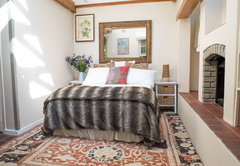 Situated in Constantia, Honeybird Lodge provides self-catering accommodation for up to 10 guests in in three separate units; Silvertree Lodge, Peach Tree Cottage and Fig Tree Cottage. 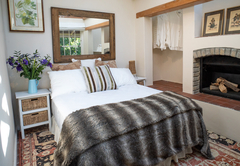 The lodge is ideally located just a 15 minute drive from beaches, wine farms and the vibey atmosphere of Cape Town. 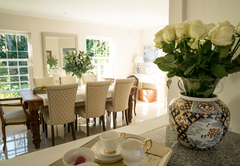 Shops, restaurants, golf courses and a gym are all in close proximity. 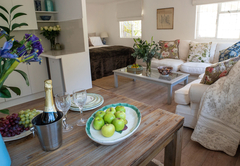 The three cottages are all self contained. 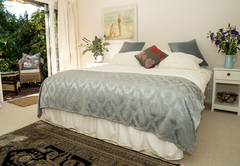 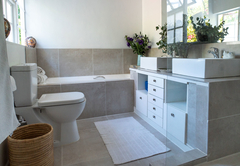 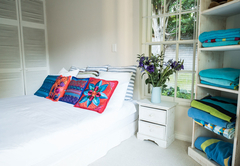 Bed linen and towels are provided and weekly housekeeping is provided. 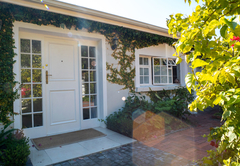 There is excellent security with armed response and beams. 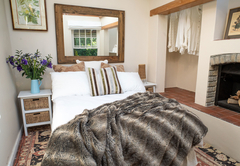 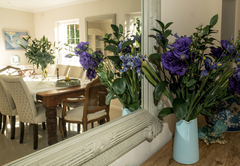 The cottage has two en-suite bedrooms furnished with a King-size beds. 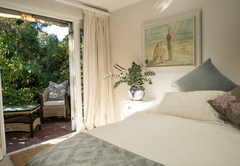 The bedrooms face onto the beautiful garden. 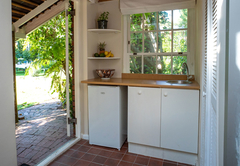 The cottage has a kitchen and dining room. 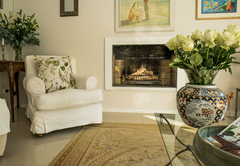 Pets are accommodated. 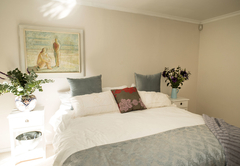 The bright and spacious cottage has one bedroom furnished with a King-size bed. 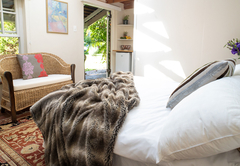 There is a seperate bathroom, self catering kitchen and a private patio with braai facilities. 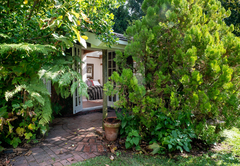 Tucked away in the garden, this studio cottage sleeps two guests in a double bed. 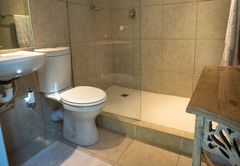 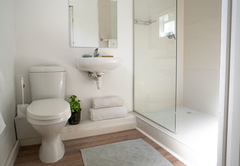 There is an en-suite bathroom with a walk in shower. 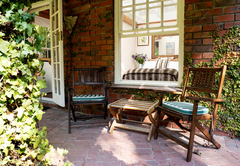 The cottage has a fireplace and kitchen, A braai area is provided in the garden. 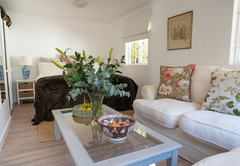 The bright and spacious cottage has one bedroom furnished with a King-size bed. 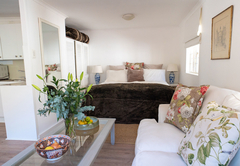 There is a separate bathroom, self catering kitchen and a private patio with braai facilities. 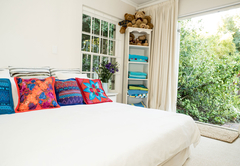 Child policyChildren of all ages are welcome if the whole lodge (Honeybird Lodge) is privately rented. 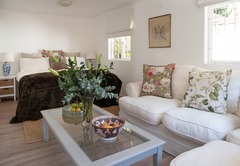 If the cottages are separately rented, children would be welcome by arrangement.